This beach is protected by dunes and offers safe, calm water for swimming - perfect for families with small children. 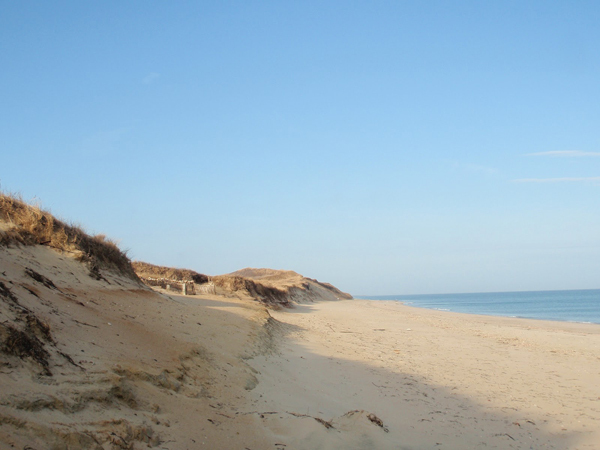 More remote than Jetties, it resides on the west side of Nantucket's northern shore. Dionis' long shoreline is strewn with seashells and seaweed. The surf here is also generally small. Lifeguards are on duty in-season. Facilities available include restrooms and showers. Directions: Located on Dionis Beach Road near Fishers Landing.